NBA 2K19 began receiving the Nike City Edition jerseys a month ago and now, with all included, the alternate courts that accompany their use beginning to make their way into the game. The City courts appear when those particular jerseys are chosen for a home game. 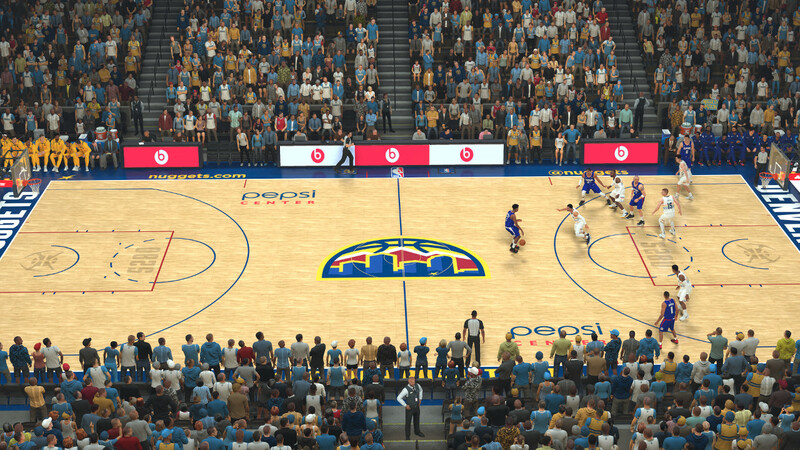 These courts are found after completing an in-game update rather than attached to a patch. Like the jerseys they won’t show up in previously created MyGM or MyLeague saves. As of publishing time the teams with City courts in NBA 2K19 are the Denver Nuggets, Miami Heat, Philadelphia 76ers, Cleveland Cavaliers, Utah Jazz, and Toronto Raptors.